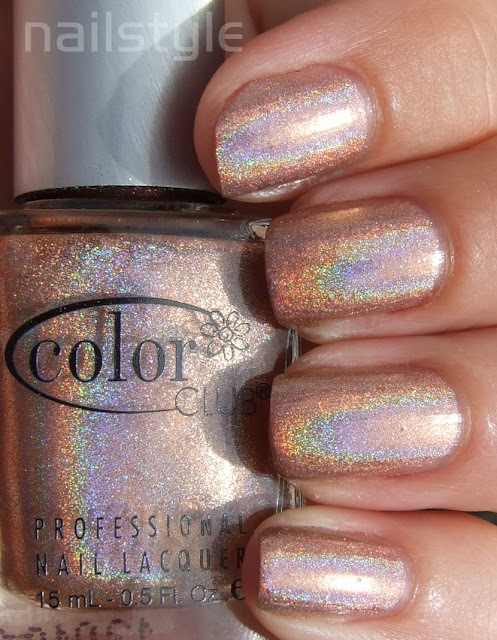 Today I'd like to share this gorgeous polish from Color Clubs Halographic Hues range - this is the second release of brighter colours. 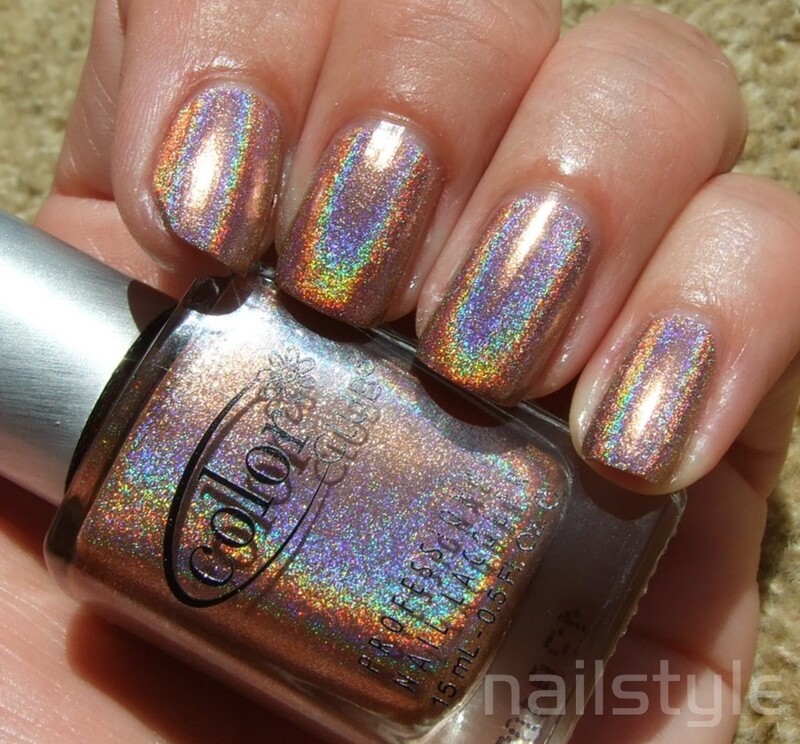 In the bottle this polish reminds me of old copper pennies - and in the sun it has amazing wow factor. I was very impressed at easy this is to apply - just an ordinary base coat, two easy extremely quick drying coats and no top coat. The coats didn't pull or streak and are very pigmented. I also like how Color Club have given this range a silver brush cap which makes it seem a bit more special. Onto the pics! The sun was being a bit elusive so this is certainly not as strong holographic effect as it would be in full sun . 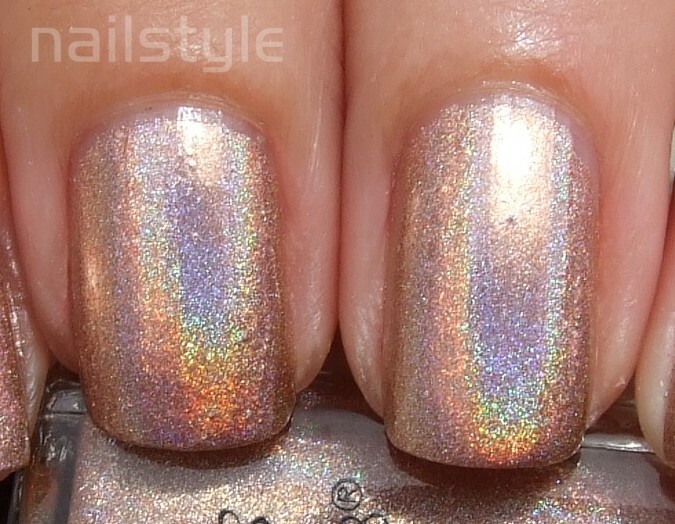 . . but nevertheless still a strong linear holo effect. In the shade this is a gorgeous coppery sparkle . . .
EDIT: The sun came out!! !